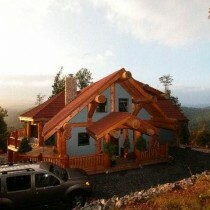 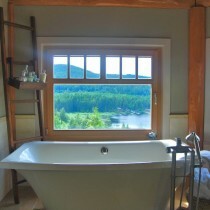 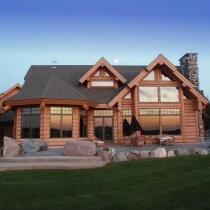 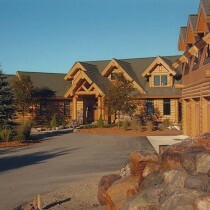 Log Post and Beam: Why choose this Log Home Option? 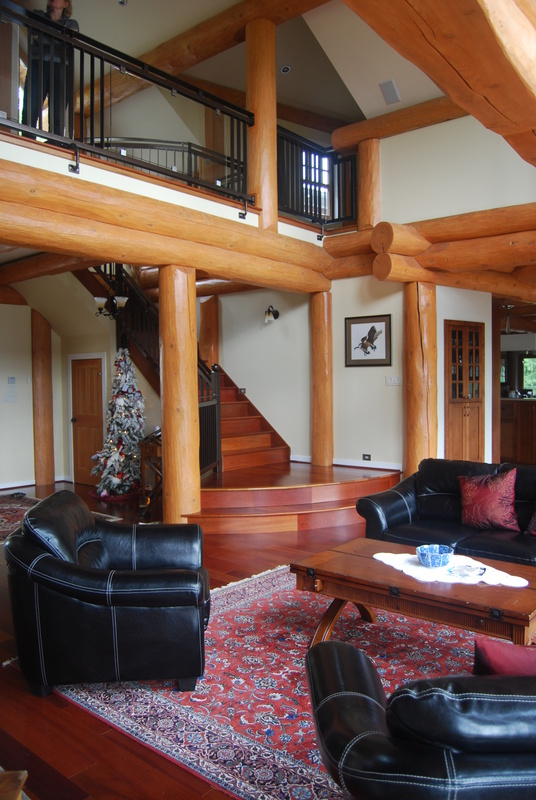 The organic shape of whole logs set in their natural upright position become vertical columns connected to horizontally placed log carry beams, creating a powerful framework that forms the shape and strength of a log post and beam home. 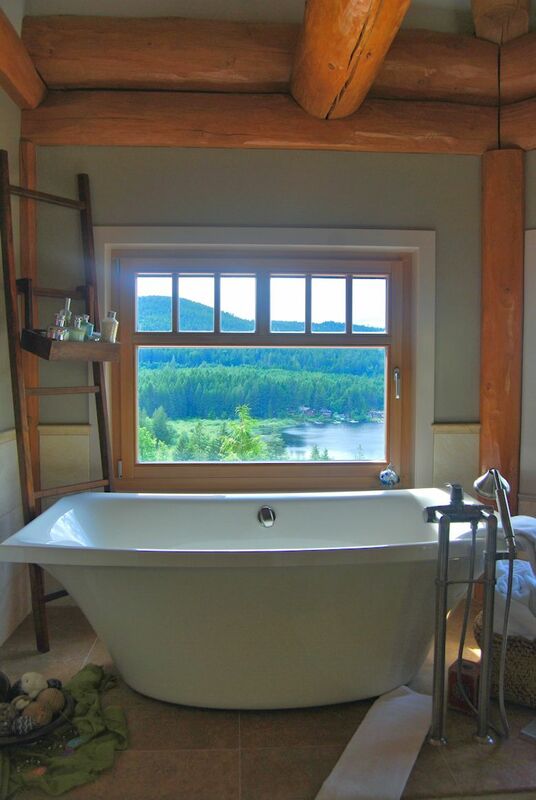 Conventional walls built from dimensional lumber or structural insulated panels fill the spaces between leaving enough log surface revealed to bring attention to the raw wood beauty. 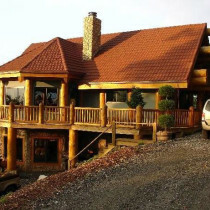 ~Lower log package and shipping costs because fewer total logs are required, making it a more economical way to experience the warm mood and relaxing ambiance of natural, hand peeled logs in your home! 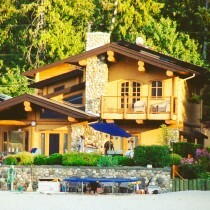 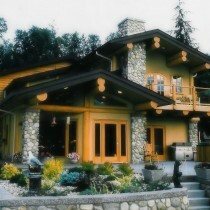 ~Ideal for multi-level structures because settlement is not an issue. 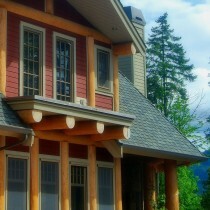 ~You can choose any interior wall covering or exterior siding on the framed wall sections. 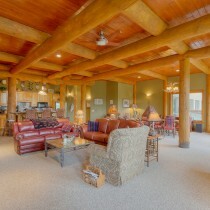 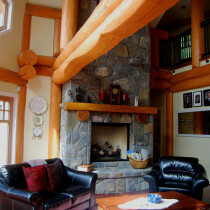 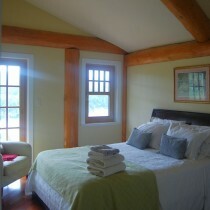 ~Log Post and Beam introduces structural log construction into a home without overpowering the space. 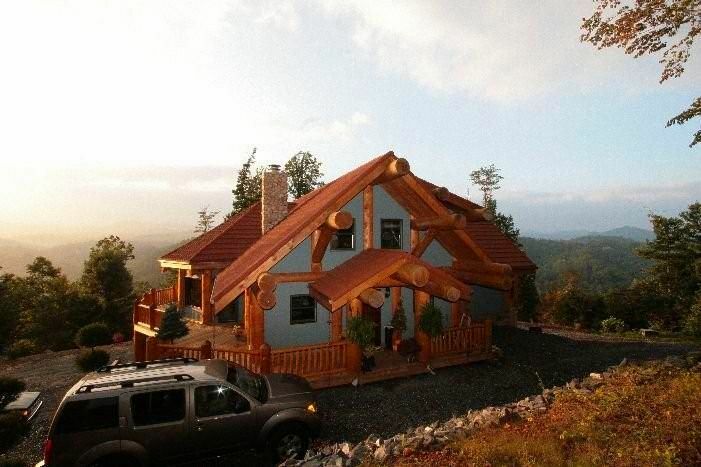 Enjoy the best of both a log home and a framed house. 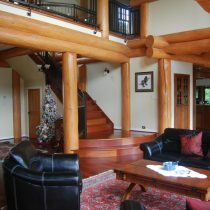 ~Log elements are structural and decorative, providing strength as well as character. 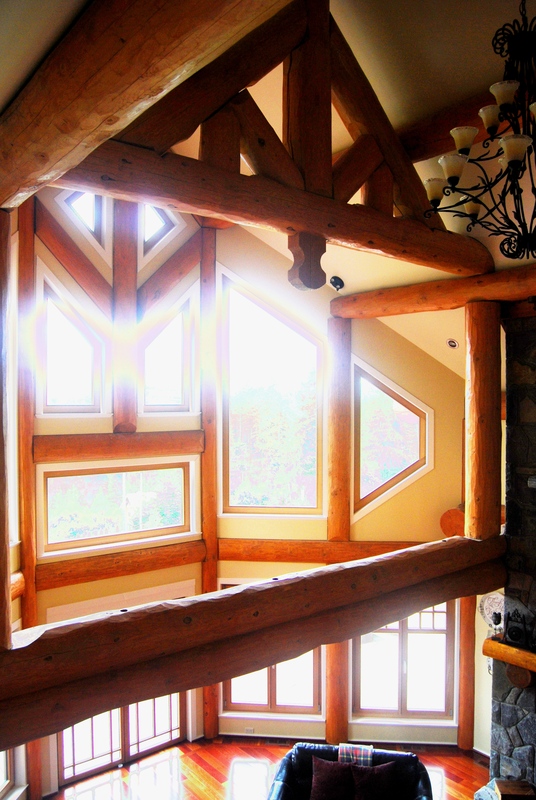 ~Log Post and Beam homes are typically brighter than full log homes since log walls absorb more light. 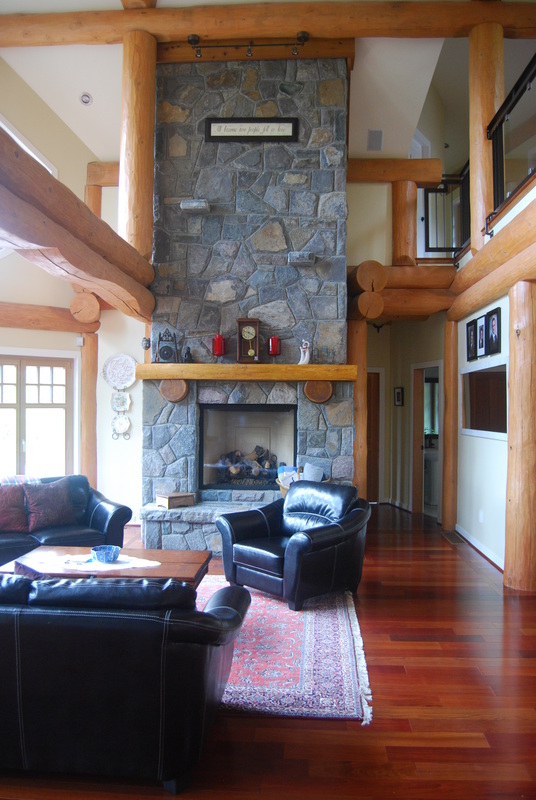 ~Log Post and Beam homes have more flat wall surfaces for hanging art, mirrors, etc., encouraging more interior decorating choices. 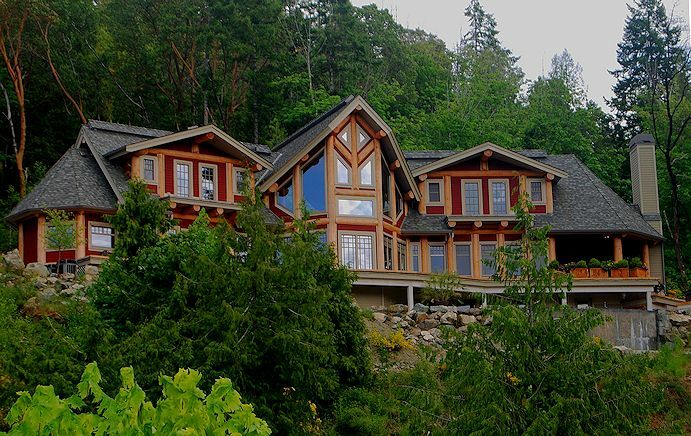 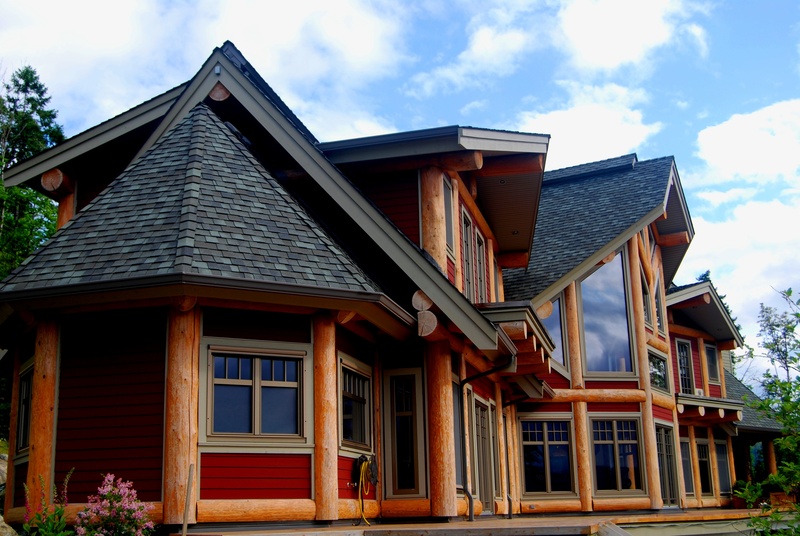 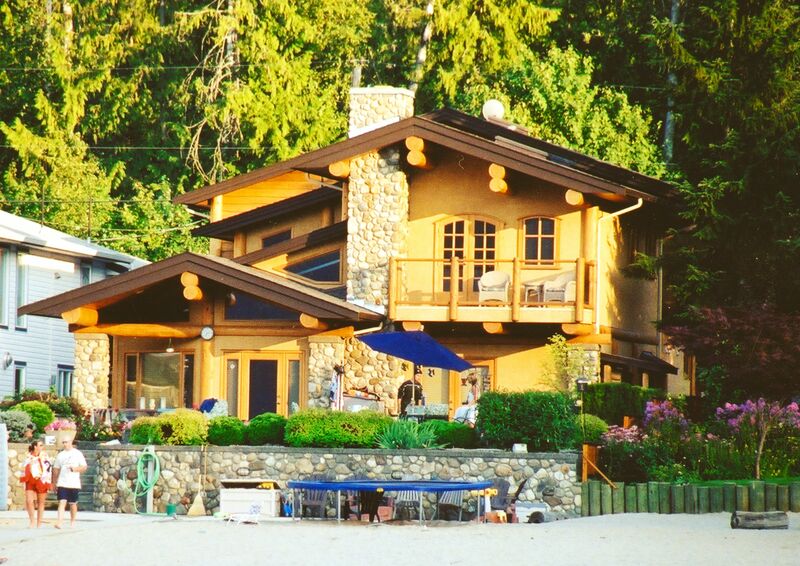 ~The choice of exterior siding (stucco, cedar shakes, board and batten, Hardi-plank, or custom hand-hewed log-look siding for example) lets you conform to community planning standards, making this log building technique at home in any neighbourhood. 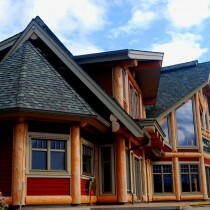 ~Exterior walls can easily comply with the most rigid efficiency codes. 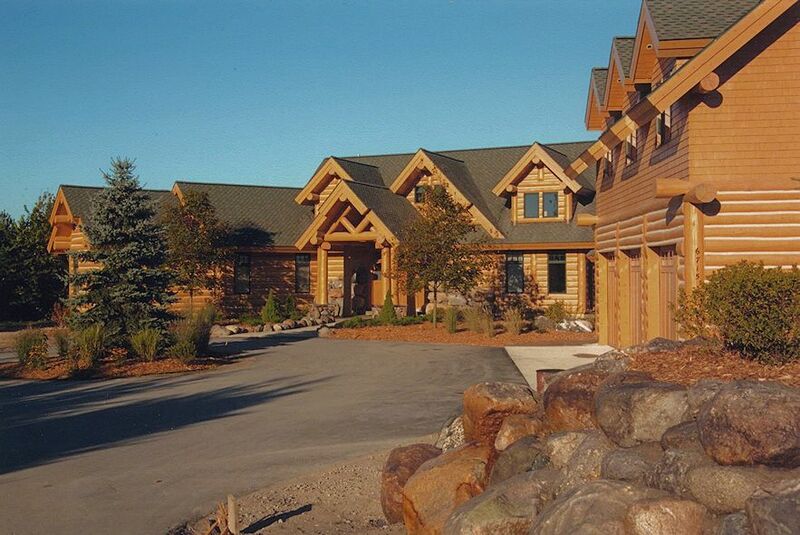 A log home “hybrid” incorporates both log walls AND post and beam walls, letting you take advantage of both building styles in one home. 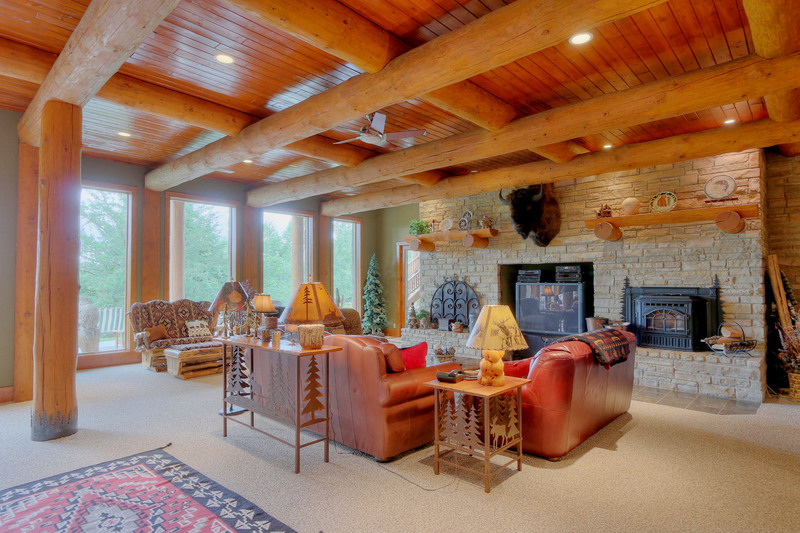 The cozy ambiance of full log walls can be used as desired, while other parts of the home can be constructed from log post and beam to maximize natural light, open up a view, or add more complex wall shapes. 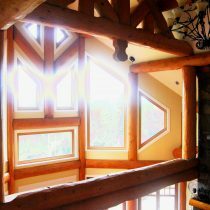 Log Post and Beam is the versatile choice for multi-level plans or multi-sided rooms such as bay windows, octagonal or round shapes, and “turrets.” Log home plans that include any of these “curved” design elements often use post and beam to achieve the desired result. 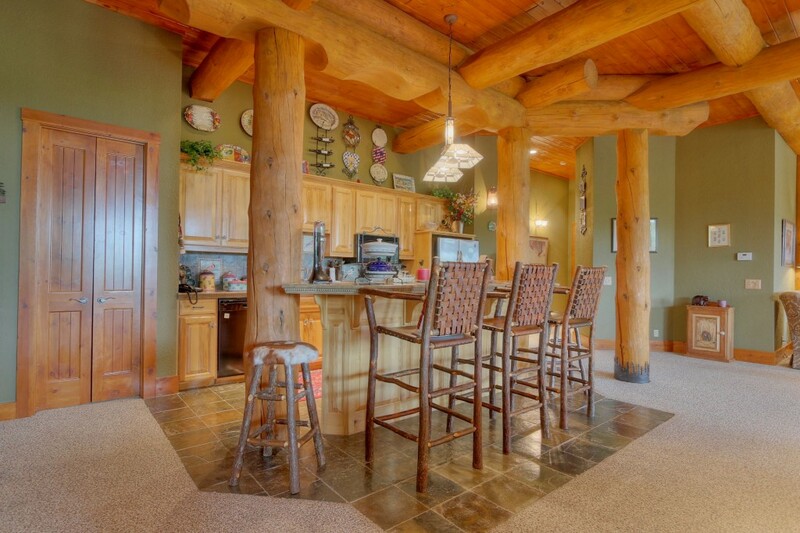 ~If you love the rustic look of logs but you’re looking for a more economical option, don’t overlook the rich look and practical features of a log post and beam home. ~If you’re drawn to more elaborate designs, consider the impressive natural character of versatile log post and beam. 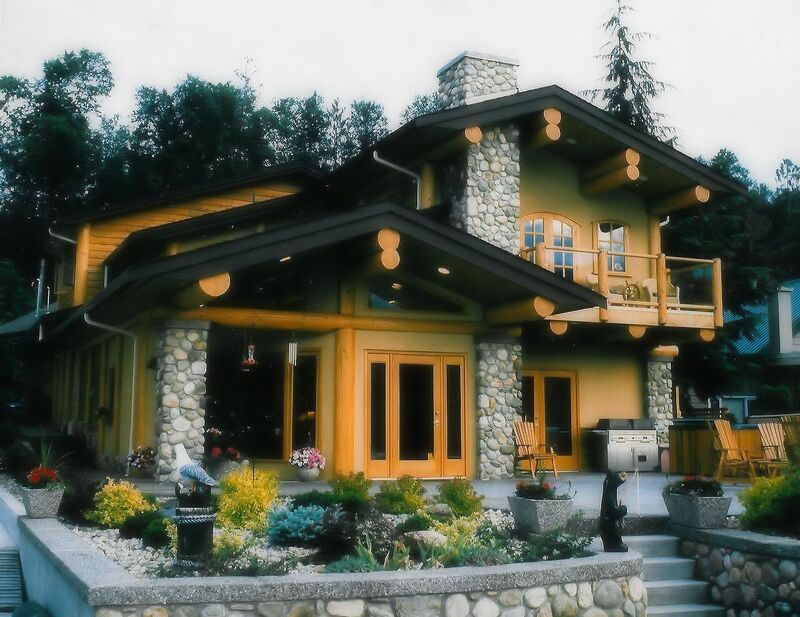 ~If you like to be able to change your wall colors and decor periodically or if you have many photos or an art collection to display, a full log home can present certain difficulties. 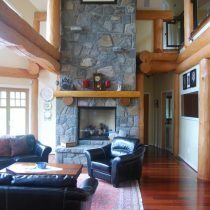 Framed by the natural log columns of a log post and beam, your favourite art pieces can be presented with drama and dignity. 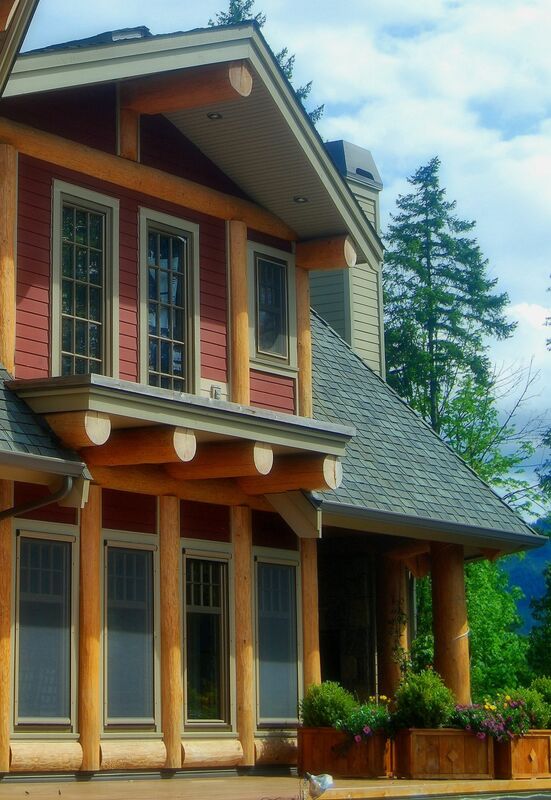 ~When the structural support elements of your home are visible, you can acknowledge the skill of the craftsmen who prepared and fabricated each hand-built component of your log post and beam home. 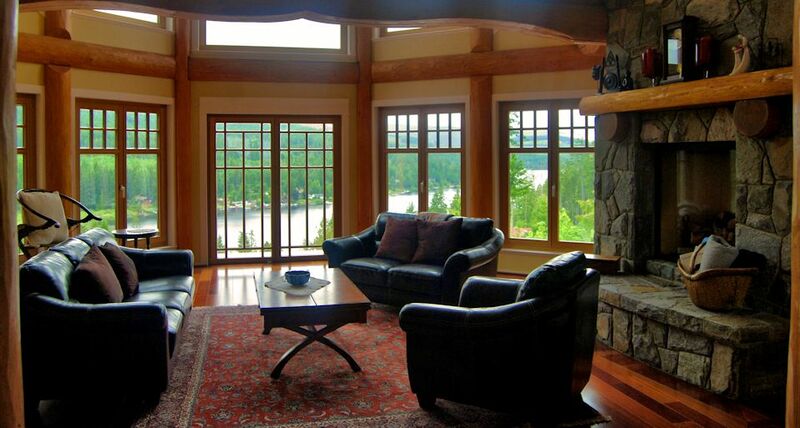 Encouraging appreciation for traditional craftsmanship helps ensure that it will continue through the ages. 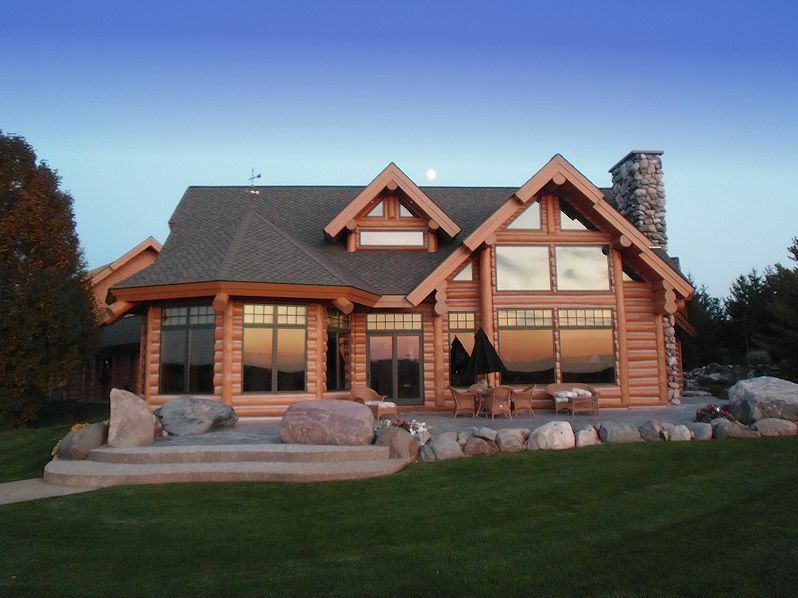 Are you trying to decide between a frame home and a log home? 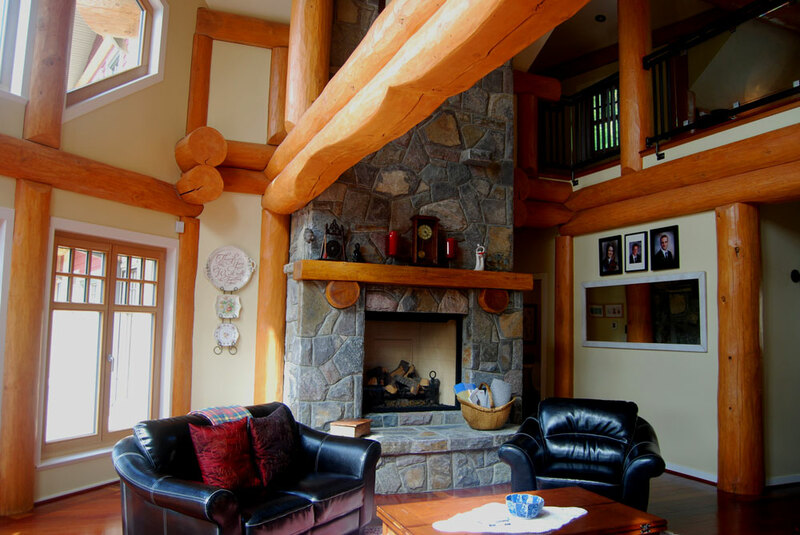 Choose log post and beam and enjoy the advantages of each construction method in a home that will turn heads for many years! 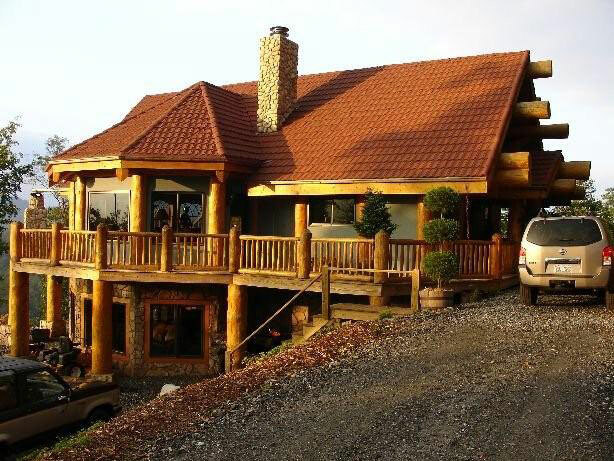 Log garages are commonly requested with a log home, but Log Post and Beam is another choice that looks great beside a log house while offering distinct practical advantages. 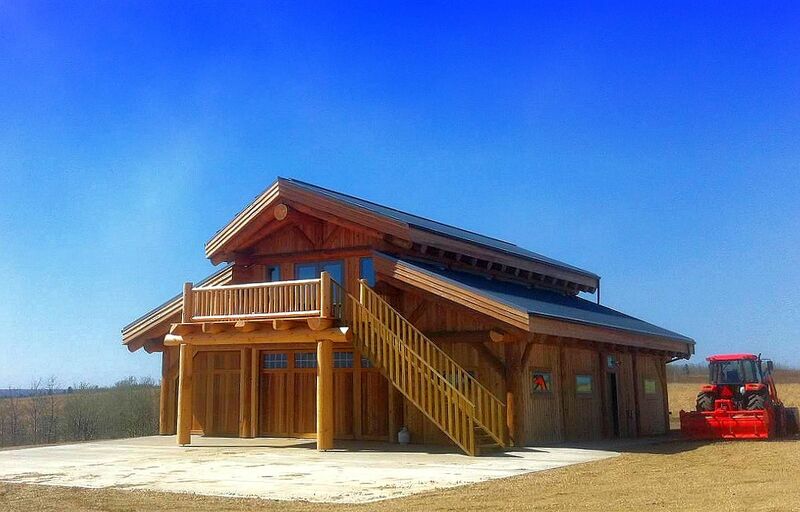 Certain features of Post & Beam make it ideal for garages and other outbuildings, particularly the flat interior walls which make installation of shelving, racks and benches hassle-free. 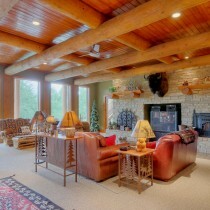 Post and Beam makes it easy to include features such as over-sized garage or barn door openings for equipment storage. 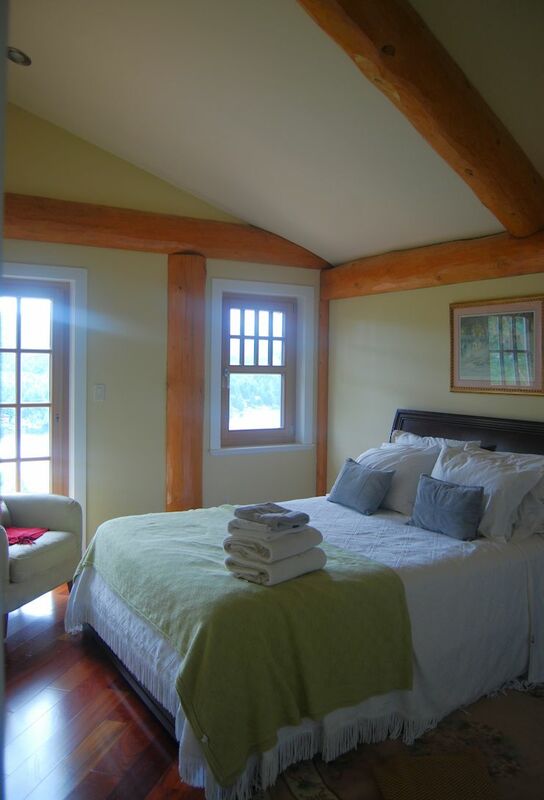 The versatility of Log Post and Beam simply makes it a practical option. 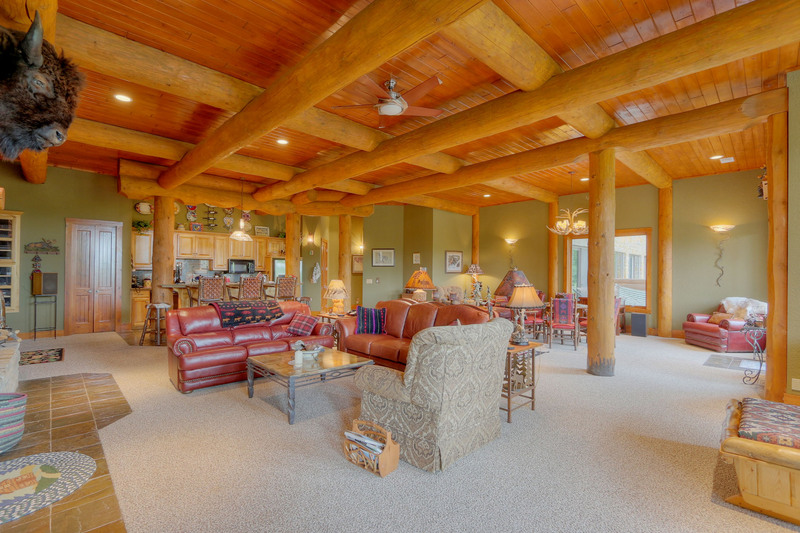 Call today to ask how Log Post and Beam might be the perfect choice for your new home!